A few months ago I had the pleasure of coming across Justified Ecstacy (amazing writer) and she had this brilliant idea for a collaboration. I was mostly relieved that it was not going to be another love story but super excited about how powerful the direction of the book is. She proposed we write a collection of poems focused on mental health within the black community. Poems which focus on Mental Health within the black community. Depression, OCD, PTSD, Anxiety, etc. 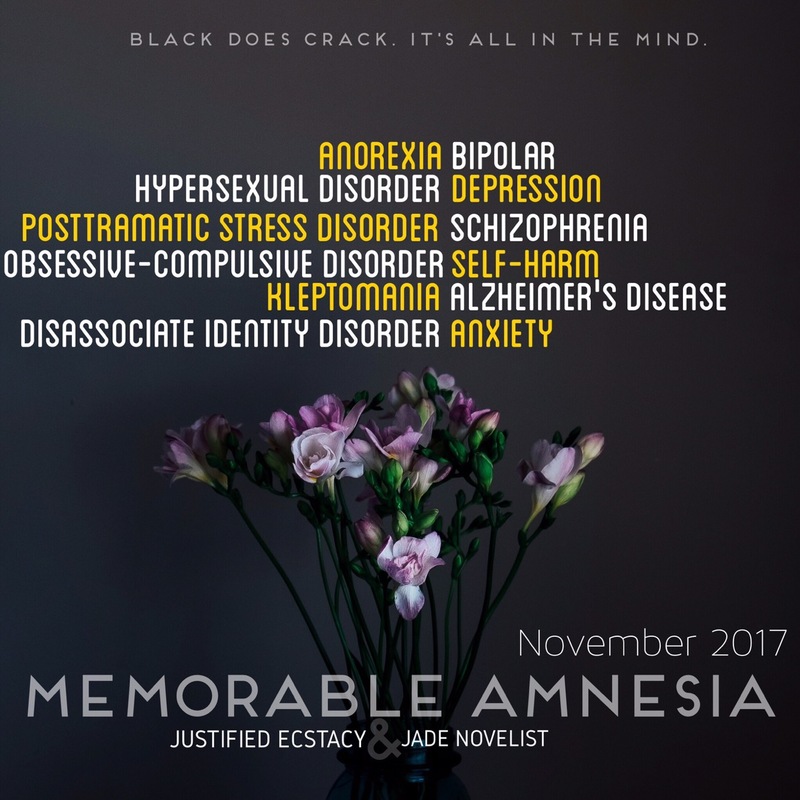 So we came up with “Memorable Amnesia”, it will be out in Nov 2017 for free download.